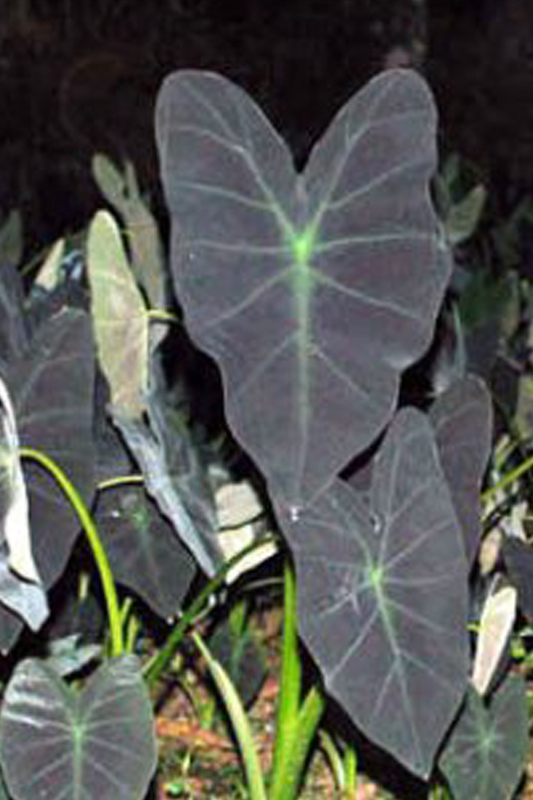 The leaves grow to about 12 to 15 cm long and is heart shaped and deep violet with emerald veins. The colour gets more intense when the leaf matures. Both the both the back and the front of the leaves are very lustrous.